To understand the evolution and history of humans takes time and considerable resources. Among those resources are fossil records of ancient humans and other human-like species as well as any other closely related species. These are generally referred to as hominins by most scientists and scholars around the world. Hominins are a taxonomic classification that includes Homo (the genus that humans belong to), Australopithecines (closely related species to humans), and Panina, which are chimps and bonobos. These classifications are important because they allow us to break down fossil records into groups and create a structure that tells an accurate history of human evolution. Using our knowledge of human taxonomy and existing fossils, we are continually editing and forming the origins of humans. In 2015, it was found that some human populations from 40,000 years ago contain 6-9% of Neanderthal DNA. These populations were in Europe and Asia, which is where the Neanderthals were located. This indicates that as humans existed alongside other hominins, there was contact and even interbreeding with the other hominin species. Nowadays, humans of Eurasian descent have about 1-4% of Neanderthal DNA. Discoveries like this help to understand the migration of humans from Africa to Europe, Asia, and beyond. Discoveries also help us to trace certain traits and behaviors that we inherited as well. The genus Australopithecus contained species that started using some of the earliest forms of stone tools. The same genus also contained species that carried genes to increase the length and ability of neurons, which is important for the development of high social behaviors, and brain power. About 3 million years ago, the genus Homo derived from Australopithecus and kept those same genes, which would eventually allow humans to be the sentient being we are today. The origins of humans are still debated and as more evidence appears, it will continue to be debated until there is nothing left to find. Concerning the origins of humans, there are two contending theories on how we became us. The first is the multiregional origin theory. The theory holds that humans appeared 2 million years ago and all future evolutions of humans occurred within a single and continuous species. This means that Homo erectus and Neanderthals all belonged to the same archaic human species that would eventually become modern human, Homo sapien sapiens. The theory holds that the ancient humans (h. erectus) had spread to different parts of the world in Africa, Europe, Asia, and Australia. As they separated to different regions, each group developed and evolved their own characteristics for those regions. Gene flow continued between the groups, to maintain genetic similarity, as they evolved but the groups mainly stayed in their particular region. Each group would eventually become the modern humans in their region as time went on to give rise to the diversity that we see within our species. One of the more antiquated theories concerning the origins of humans is the out of Africa theory. It contends that modern humans evolved from h. erectus about 200,000-400,000 years ago in Africa. Generally, many scientists and scholars consider 200,000 years ago the time when modern humans came about based on existing fossil records. The out of Africa theory holds that as humans developed in Africa, about 60,000-70,000 years ago they started to migrate out of Africa. While the exact reason for this migration is unclear, many researchers believe that it is because of shifts in climate that forced groups to move. These humans moved from Africa to Eurasia then Australia and finally the Americas by 12,000-15,000 years ago. The out of Africa origin also contends that there was a much earlier migration about 115,000-130,000 years ago but they died out. This theory is the more accepted one because there are more fossil and genetic evidence to support it. The oldest and most recognizable modern human fossil was found in Ethiopia and dated to 200,000 years ago. Recent genetic tests on mitochondria, which is inherited from the mother, shows evidence of a strong African origin. It is probably the more accepted because it is also the simpler explanation of the two, which follows Occam’s razor. 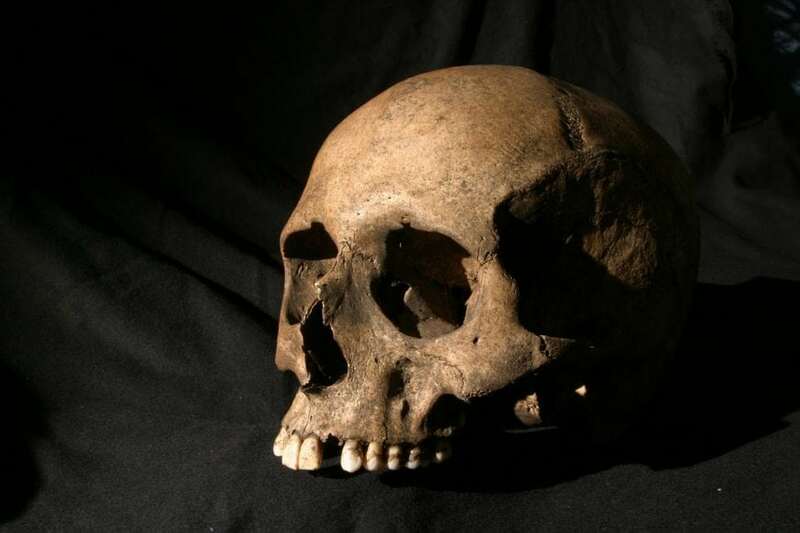 The Dali skull was recently found in China and it was dated back to 260,000 years ago. What is interesting about it is that it shows features of both h. sapiens and h. erectus. This raises a lot of questions because the current timeline for humans starts at 200,000 years ago based on the out of Africa origin. For the skull to be in China for over 100,000 years before many people believe humans were in China means that our history is not accurate. The implications of this are that humans may not have evolved only in Africa, which would give more support towards the multiregional origin theory because it would match the fact that humans evolved along a single species from ancient humans to modern humans. This would result in a sort of blending of traits that we see in the dali man. Alternatively, it could mean that our timeline of when humans appeared is wrong because the out of Africa theory gives us a time frame of 200,000 to 400,000 years for humans to have appeared. We use 200,000 because of existing fossils. We also know that there were previous migrations into Eurasia from Africa before the more successful one. Finally, many fossils are lost and not everything has been discovered yet. It stands to reason that humans could have evolved in Africa earlier than what we know and had migration events earlier as well that we are only now discovering. We base our discoveries on the data that we have. As we get more information and more evidence, our understanding of the ancient world changes and becomes more accurate. This is true of all science. It is up to us to understand the history of all those extinct species as well as our own history because they all intertwine and expand our knowledge of how humans came to be. We are constantly correcting and updating our knowledge and many things we know now will change and update.